Las Vegas-based Golden Entertainment, which is building a new gaming stronghold in Laughlin, reported record revenue and cash flow for the second quarter, company officials said Wednesday. While net income and revenue didn’t meet analysts’ expectations, company executives say they’re pleased with how the Southern Nevada locals market is performing, how the company’s Stratosphere has weathered renovation disruptions, and the company’s outlook in Laughlin, where the company acquired the Edgewater and Colorado Belle for $190 million in July. For the quarter that ended June 30, Golden reported a 97 percent increase in revenue to $216.5 million and a 111.8 percent increase in net income to $3.6 million, 12 cents a share. The average of four surveyed Wall Street analysts had projected earnings of 23 cents a share and revenue of $222.9 million for the quarter. The company, which operates the second-largest distributive gaming operation in Montana, expects its holdings there to perform well if and when sports wagering is legalized in that state. “We strongly believe that distributive gaming should emerge as the preferred and practical retail outlet for sports wagering across the country,” said Golden Chairman and CEO Blake Sartini. The company has 300 outlets in Montana. 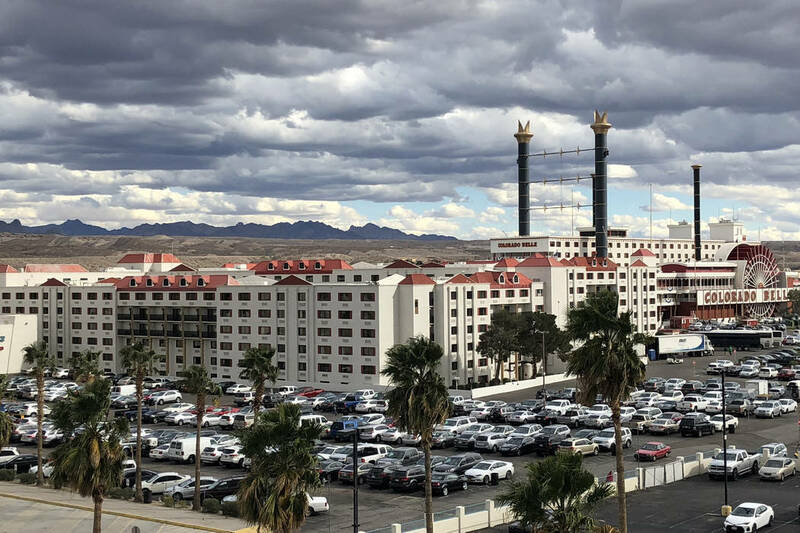 The company’s acquisition of the Edgewater and Colorado Belle properties in Laughlin from Marnell Gaming LLC will give the company 55 contiguous acres along Laughlin’s riverwalk along the Colorado River adjacent to a performing arts venue. Along with the previously acquired Aquarius, Golden has properties available at three different price points to accommodate a wide range of visitors. While Sartini and chief financial officer Charles Protell were bullish on the Las Vegas locals market in a conference call with analysts Wednesday, they viewed Laughlin as a safe market that already has adjusted to market pressures produced by tribal casinos years ago. Sartini said Stratosphere renovations, which won’t be completed until 2021, are ahead of schedule with 250 renovated rooms expected to go online by September. When completed, the company’s renovations will include 1,133 rooms, the addition of a new gastropub and the refurbishing of the property’s sportsbook. Sartini also said the company’s Top of the World restaurant atop the Stratosphere tower would be getting an all-new menu. Golden Entertainment stock, trading on Nasdaq, closed down 7 cents, 0.2 percent, to $28.51 a share on average trading Wednesday. After hours, the issue retreated 11 cents more, 0.4 percent, to $28.40 a share.